Increase your website page click-throughs with valuable offers. 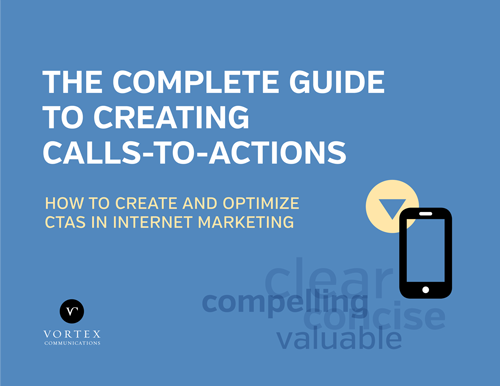 Calls-To-Action (CTAs) are the first step in the three-part inbound marketing conversion process of CTA > Landing Pages > Thank You Pages. These components help convert prospects and leads into customers. Website and emails will always be an effective way to share facts and figures about your organization with prospects and leads. On the other hand, CTAs are ad-like graphics that use benefits to motivate prospects and leads to better appreciate your products and services. CTAs are typically embedded in emails, blogs, web content as well as presentations and print promotions. Your offer might describe a how-to guide, workbook, free trial, demonstration, webinar. sample product, open house, or consultation or all of the above. Why burden yourself when we can do it all for you? We know what we’re talking about, we’ve even edited a book on the subject. Get a copy with a request for proposal.